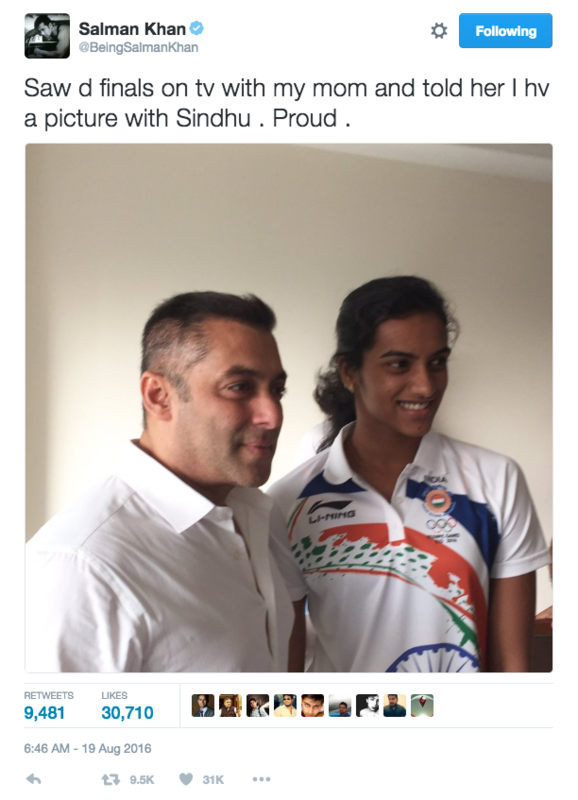 Salman Khan Shares A Picture With PV Sindhu After She Makes India Proud With Her Silver Win! [tps_footer]Salman Khan is known for praising credible individuals. The actor who is loaded with back to back films is not unaware of the ongoing Rio Olympics. The superstar is surely keeping a tab on the matches it seems. The country was hooked to their television screens yesterday when PV Sindhu created history. The girl made India shine on the global map with her silver win. India is on a winning spree in this Olympics. Not only PV Sindhu but also Sakshi Malik and Dipa Karmakar made the country proud with their respective achievements. 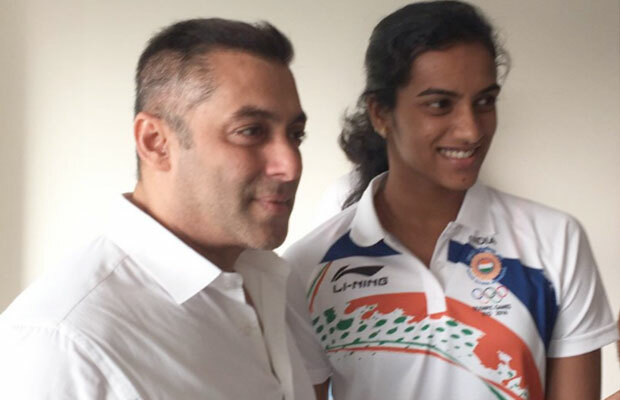 Salman is also the Goodwill Ambassador for the Indian Olympic Association. Not to forget, the actor had to bear loads of criticism when he forgot the name of athlete Dipa Karmakar on a public platform. Next articleFawad Khan Makes A Cute Revelation About Wife Sadaf!